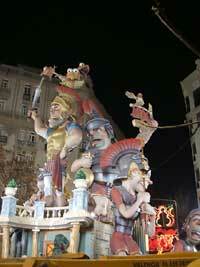 This falla is a fairly unintelligent bonanza on the Romans, a mighty army led by a centurian with birds on his head. 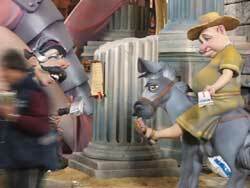 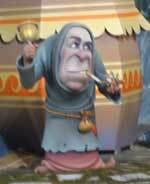 The references and analogy in the falla are, perhaps, obvious (especially with a verse on "democra-CIA") but most of the content of this falla doesn't live up to high satire. 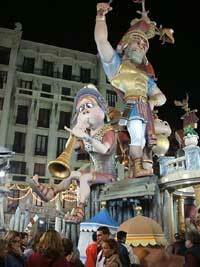 Stil, the falla is huge and spectacular.